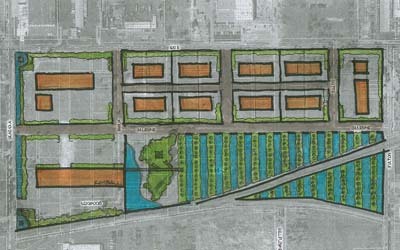 The K-Energy Farm Master Plan is a unique approach to the future of Salt Lake City, Utah. 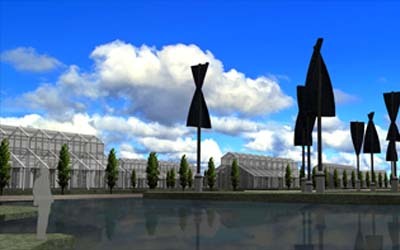 The airspace and the various constraints of the site moved us toward Helix wind turbines, also incorporating solar photovoltaic. 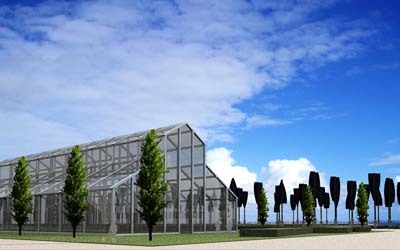 This up front expense and solution, the site would create more energy then the farm would need to consume. 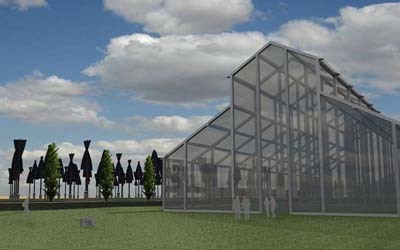 The calculations were such, that this farm could be producing energy for structures nearby, including the airport lighting. 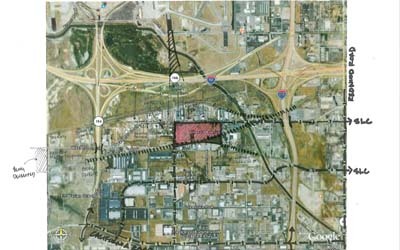 Our investigations and Master Plan development, showed that this approach would create challenges in terms of electrical performances and safe interconnections with utility grid systems; therefore, we had meetings with the City of Salt Lake and the Salt Lake County to ascertain their direction for such an intervention.